my take of ROSE’S heavenly CAKES: Miette’s Tomboy (page 145) topped with mango rose has already made a statement on my State! and i didn’t waste any time to retake it. “patti, I used your jelly to glaze the mango. if you can send me 1 jar every 2 months then i will make you partner! there is zero reason to use apricot jelly! here is the same chocolate cake i brought at nelha for olelo. i just made it again tonight and will freeze it. it is for my mango rose demo at the moana. 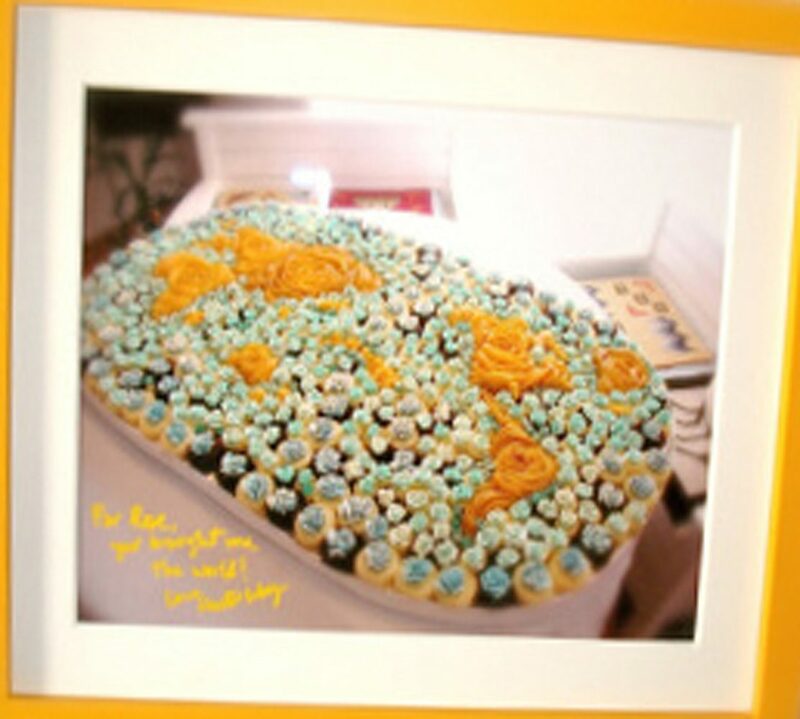 the cake uses chocolate from Original Hawaiian Chocolate Factory! as well as mac nut oil from oils of aloha. this cake is based on Rose’s Miette’s Tomboy recipe. 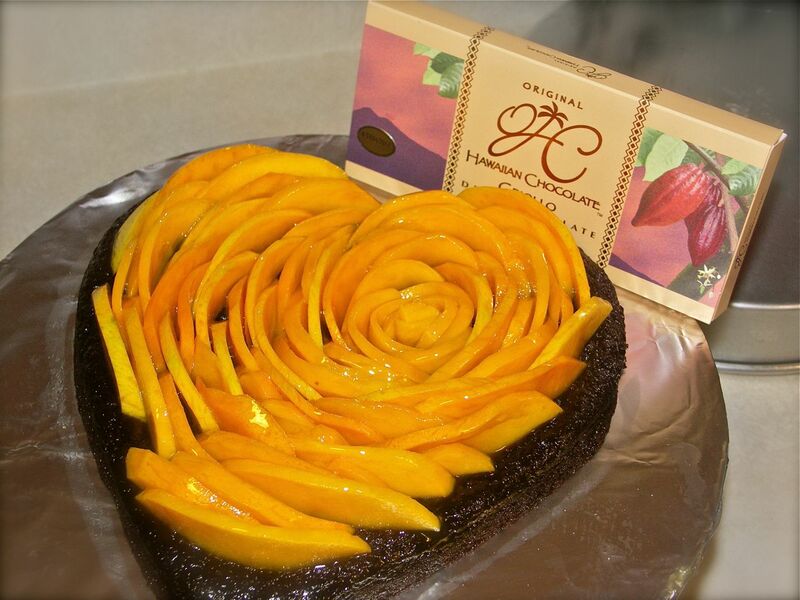 it is fudgy chocolatey yummy and rest assure that mango rose is a perfect fat free topping! p.s. i will also try next with GM Ranch’s lychee coconut jelly! i know mango goes very well with coconut and/or lilikoi!